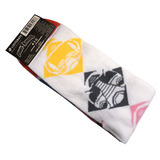 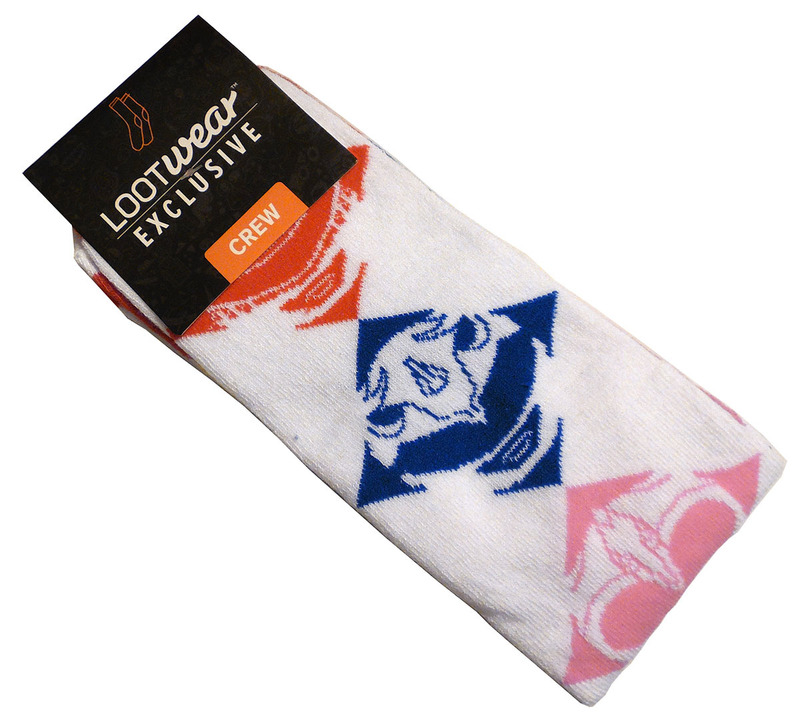 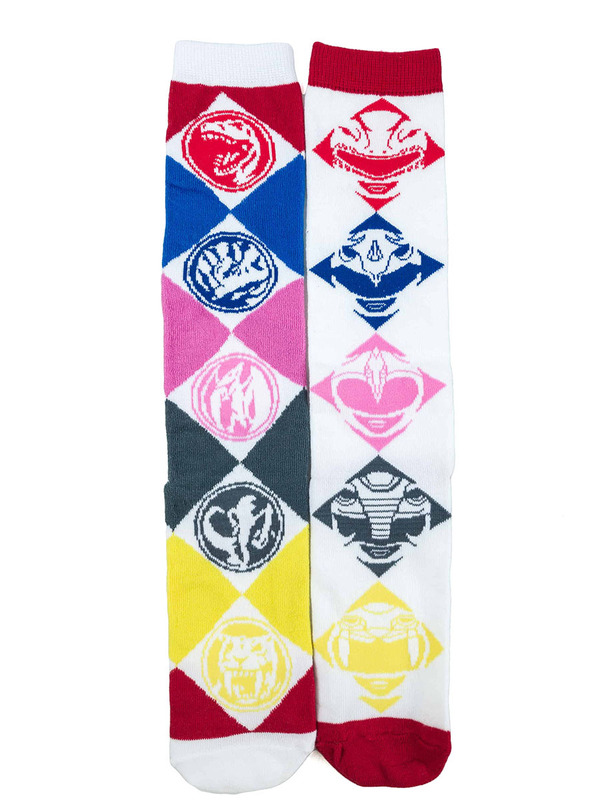 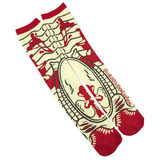 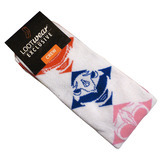 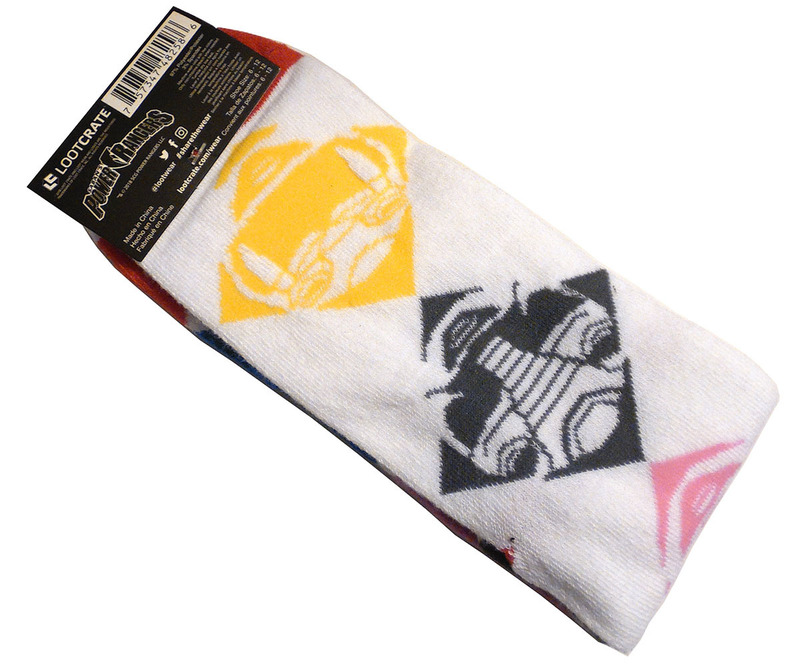 Celebrating the classic Saban's Power Rangers, these socks depict the five Rangers' heads on one sock, while the other shows the Rangers' power coins, against a checkerboard background. 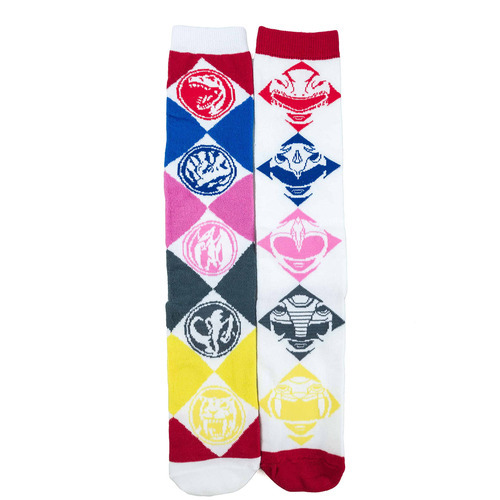 Officially licensed by Power Rangers. 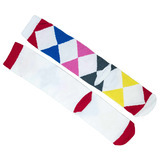 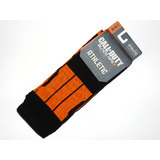 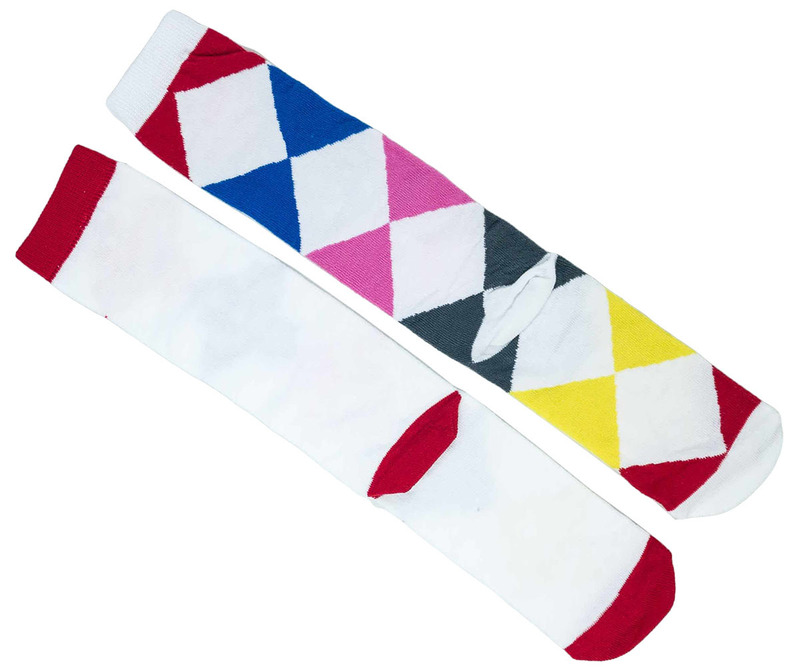 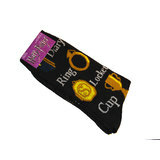 Polyester/Spandex blend is soft and stretchy - medium weight business/leisure style socks.